Kraft Foods is to launch a premium instant-coffee product under its Kenco brand, which will go head-to-head with Starbucks' Via Ready Brew. The imminent roll-out of Kenco Millicano follows a decision earlier this month by Starbucks to end its 12-year global distribution deal with Kraft for its roast and ground coffees. Due for a UK launch early next year, Millicano will be sold in a silver tube to give it on-shelf standout and imply premium credentials. It is expected to be stocked by major multiples. Its introduction will be backed by a heavyweight marketing push, which is likely to include a TV campaign. JWT, which handles Kenco's ad account, is understood to be working on the launch. Communications will emphasise that Millicano is "fine-milled" and a "whole-bean instant". 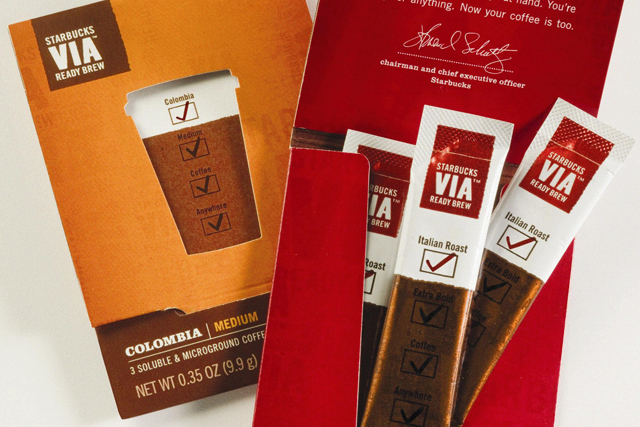 Starbucks launched its Via instant product in the UK in March. It was initially sold exclusively through Starbucks stores. However, in the summer the brand began to be rolled out to leading supermarkets. Kraft was unavailable for comment as Marketing went to press.